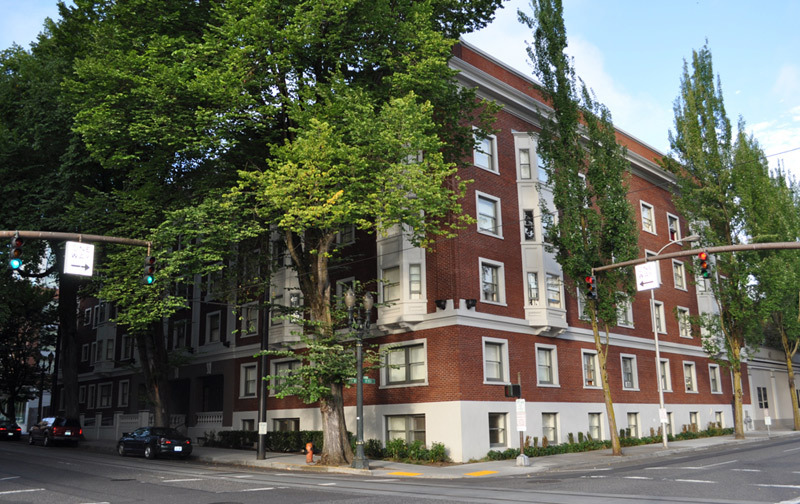 Historic property in downtown Portland, completely renovated in 2010. The Martha Washington is a four-story apartment community that offers 108 studio and one-bedroom homes. This historic property was completely renovated in 2010 and serves residents with annual incomes that do not exceed 60% of area median income. The Martha Washington combines historical charm with apartments that have views of downtown Portland. The community features controlled building access, 24-hour desk staff, a community center with kitchen, TV lounge, laundry room, and a charming outdoor courtyard with seating. It is conveniently located on the Portland Streetcar line near restaurants, shopping and other services. For single applicants to public housing apartments, annual income must not exceed 30 percent of area median income. For two-person households, annual income must not exceed 50 percent of area median income.